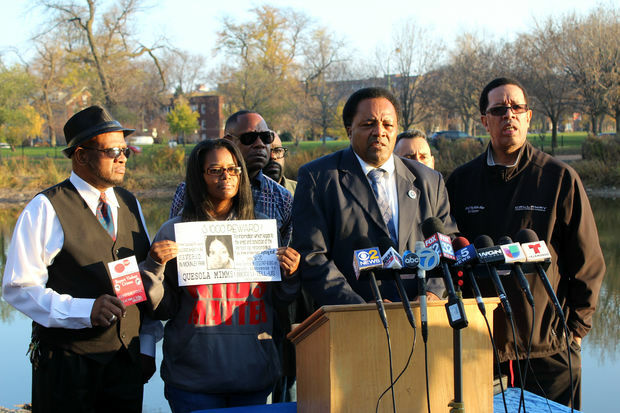 Officials have identified the remains of a woman whose head was found in the McKinley Park lagoon as Quesola Mimms (inset), 20. 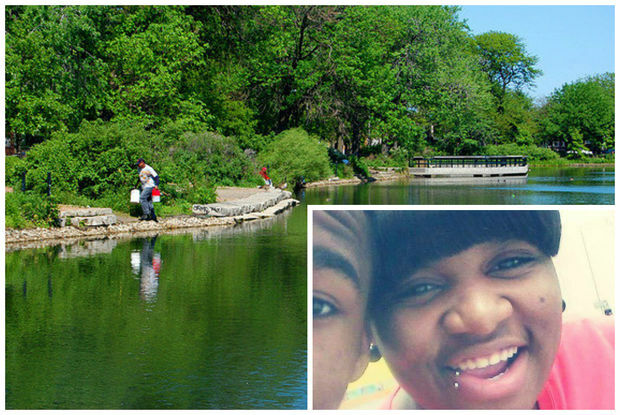 CHICAGO — Officials have identified the remains of a woman whose severed head was found in the McKinley Park lagoon. On Sept. 23, officials found a severed head and other body parts in the lagoon. On Wednesday, that person was identified as Quesola Mimms, 20, of the 700 block of East 105th Place, by the Cook County Medical Examiner's Office. A missing persons report was not filed for Mimms, who was the victim of criminal damage to property two weeks before her head was found, sources said. The cause of Mimms' death has not been determined, the morgue said. At a Wednesday news conference, community activist Andrew Holmes said a $1,000 reward will be given to anyone who offers information leading to the arrest and conviction of the person who murdered Mimms. Community activist Andrew Holmes said a $1,000 reward will be offered for information about Mimms' death. "When you take it upon yourself to take whatever weapon that you took to sever this young lady's head off her body and dispose of her remains, you are cruel," Holmes said. "You are not human." On the morning of Sept. 21, the last day her family saw her, Mimms left home to start a new job at a factory, Holmes said. She never made it to work. Around 10 a.m. on Sept. 23, a private contractor called 911 after finding remains in the McKinley Park lagoon, according to Chicago Police. The contractor had been conducting a weekly cleaning of the lagoon. Mimms left behind a 1-year-old daughter, "who, each and every day, is asking for her mother," Holmes said. Holmes said he has been working with detectives on behalf of the family since crews discovered Mimms' severed head. "They are constantly working and constantly interviewing individuals, trying to see what type of information that they could come up with tp bring closure to this case," Holmes said. "The family is very upset, because they have to make funeral arrangements." It's been difficult to make those arrangements, Holmes said. Mimms' body is still missing. "It's upsetting to the family," Holmes said, "because how can you have a funeral with the rest of your loved one's remains — you don't know where they are right now." Holmes called on the city and neighborhood to come together to put the offender behind bars. "Come together and turn these individuals in no matter what crime they may have committed," Holmes said. "The only way we can put an end to all of the violence in this city is to come together and not be afraid to turn these individuals in." Holmes asked that anyone with information about Mimms' disappearance and death to call 1-800-883-5587 or Chicago Police detectives at 312-747-8382.